This is purified, uncooked food-grade wheat starch which makes a superior smooth paste adhesive when cooked. 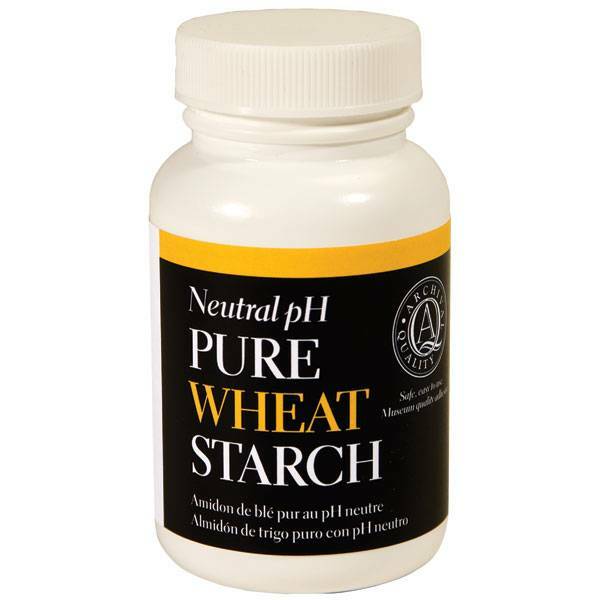 Wheat starch has been used for a long time as an adhesive because it does not discolor, become acidic, or lose adhesion. It is also versatile; it can be made thicker or thinner, or mixed with other adhesives such as PVA to produce different properties. NOTE: Must be cooked. Recipe is on the jar.